It’s safe to say that I have a lot of Christmas decor. 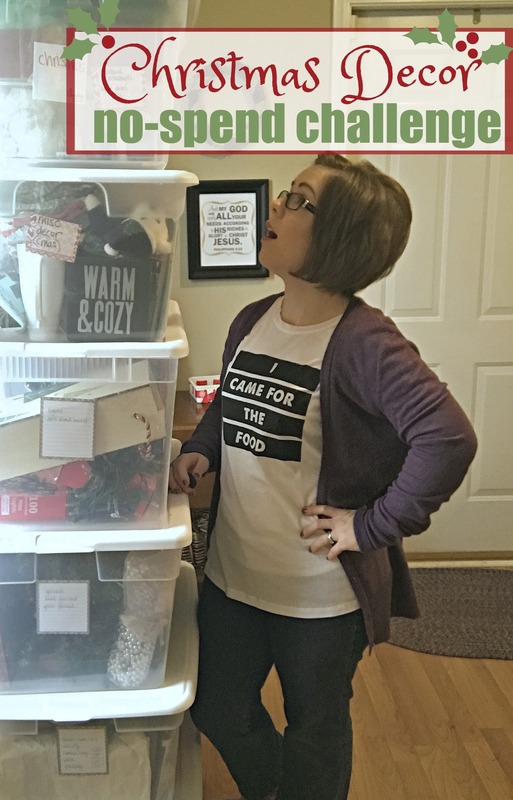 The photo in this post is from Christmas 2016 – I know I’ve added at least one more box to my collection since then! 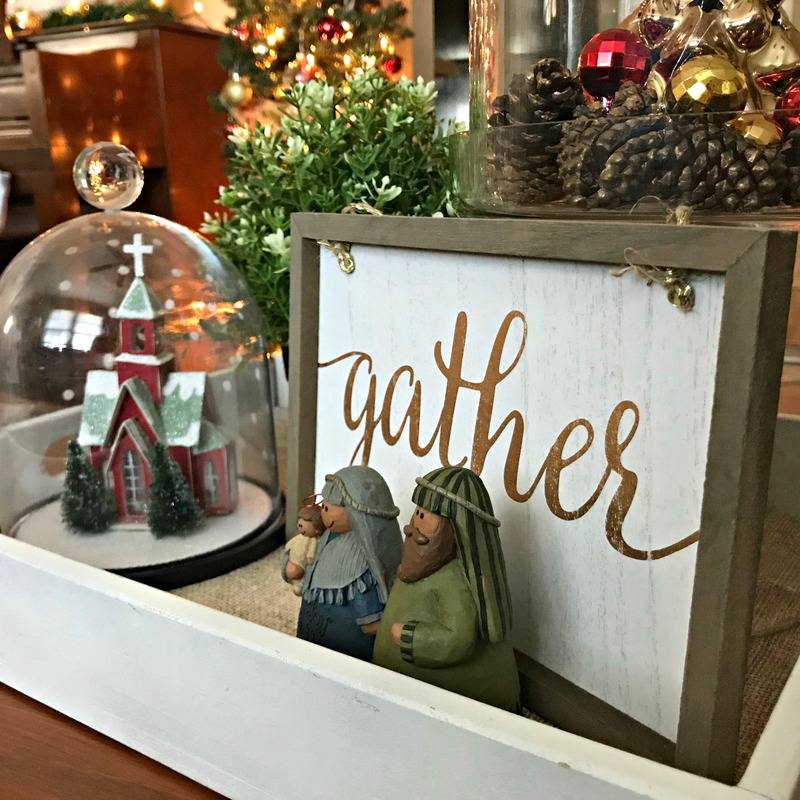 Knowing that there are at least seven bins of holiday decor in our storage room and remembering how much I loved the way everything came together last year, I decided to give myself a challenge! This Christmas I’m challenging myself to not purchase any holiday decor. Honestly, I’d planned to do this with my fall decor…but then Dollar Tree started putting out their cute pumpkins in July and I totally abandoned that plan. I knew I would have to start early this time! Why am I doing this? I don’t think there’s anything wrong with amassing large quantities of holiday decor (reference the picture above 🙂 ). Over the past decade I’ve collected so many lovely pieces that I don’t need anything. This year I really want to challenge myself to use what I have. Being one who enjoys watching shopping hauls, it’s easy to get sucked into buying little pieces here and there. I don’t have to buy things just because they are cute or even because they are a good deal. Why am I blogging about this? To keep myself accountable! I know I’ll be much more likely to stick to my commitment if I’ve shared it with you. If you would like to join me in this challenge, I’m happy to have your company! I will allow myself to replace Christmas lights that have gone bad since last year, if needed. I will allow myself to purchase florals or ribbon to make a new wreath for my front door – I’ve used the same one for several years and it’s looking sad. The rule ends at midnight on Christmas – when the after-Christmas clearance sales begin! I will definitely share my experience and anything that I learn through this challenge. If you want to join me, leave a comment below and we can keep each other accountable! I had a ton of Christmas decor handed down to me this year, so I’m thinking that should keep me distracted from buying anything new! It really can be hard though when you see the cute little things that don’t take up too much space and are only a dollar, or three, or five… Target I’m lookin’ at you! Hmm, maybe I should still make a public declaration to join you as well! Fantastic challenge! I, too, love holiday decor and have so much of it that I often don’t display it all. I said I’d get rid of anything I didn’t use last Christmas, but I think I may have to double check myself when decorating this year to be certain that I did that! lol 🙂 Even though I have plenty I do tend to find super cute things at Hobby Lobby on sale and have a hard time resisting when that cuteness and bargain level are equally high! lol! While I’m tempted to join your challenge, realistically I know I’m heading to WDW right as their Christmas pretties are coming out, sooo rather than making a false promise I’ll cheer you on from here! 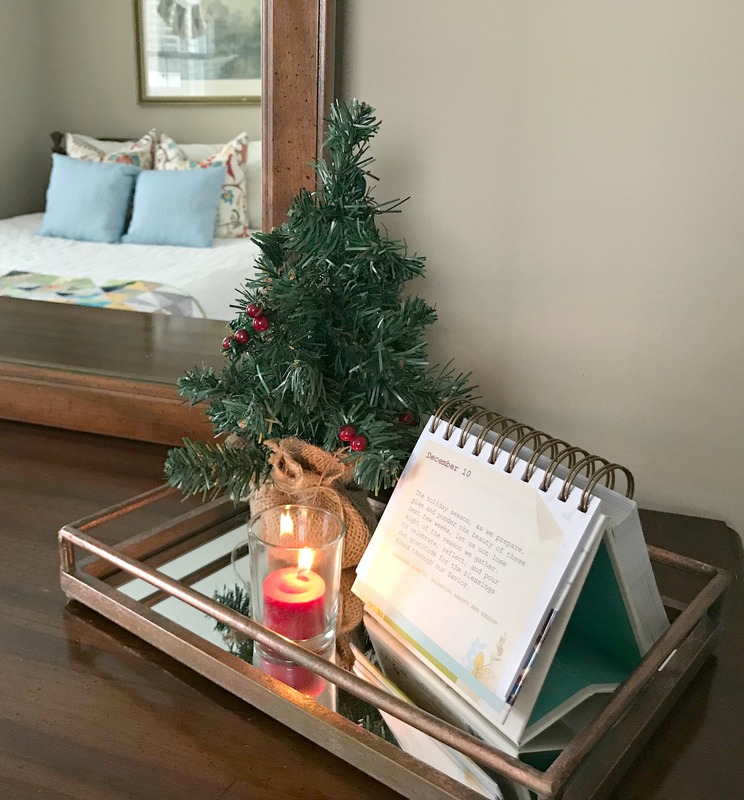 😉 I love the guidelines you set for yourself, and that you included after Christmas shopping – a tradition that my family shares and I very much enjoy too! Wishing you the best with this! I’m certain that your home will be beautiful and your bank account will be better off for this choice, friend! xo! This is a great idea and something I need to do too. I have plenty but it is so easy to get sucked into buying something new every year. I decided to forgo fall shopping this year (so hard with all the cute things at the dollar store, and especially all the sales at Bath and Body Works!). But, when I pulled out my bin of fall decor, it was fun to rediscover all the things I already had in there. It felt good knowing that I hadn’t spent any money, but still had a great collection of cute things to put out! Good for you, Colleen! I try to hold out for the semi-annual sales at Bath and Body Works – because yes, those candles are tempting! What a great challenge!! Sometimes I’m overwhelmed by all the push to SHOP SHOP SHOP. I’ve tried to be much more aware of what and why I’m buying holiday decor this year. Am I just buying it because everyone is talking about it or do I really love it?? I have been purging my decor this year and donating items I no longer love. My goal for the rest of the year only buy things I LOVE or can’t live without. I will probably have to buy lights for our tree bc they don’t seem to last long. Thanks for inspiring me to be thoughtful when I purchase holiday decorations instead of stocking up on everything. The struggle is real no matter how old you get, Whitney! I love Christmas and I love Dollar Tree.lol This year I am giving some of my ornaments to my children, freeing me up to purchase more. That’s a great idea! Every time I visit my Nana, she gives me something of hers to take home. I love being able to use her treasures and to let her know how much I enjoy them. Do you store your fall decorations using the same method as your Christmas decor? I’ve amassed a nice little collection of fall decor this year, but feel like my storage methods could use some work! Pretty much, Rebecca. I don’t have nearly as much fall stuff as I for Christmas, but I store it in a big plastic tote. I keep my big fall wreath stored on a hook in our storage room – I put it in a large trash bag to keep it from getting dirty or dusty.